Now, this is a film I wanted to see at the Berlinale Palast, the theater where all the big premieres take place and all the stars are present, but as you can guess I couldn’t get in (though I was able to see the beautiful Isabelle Huppert from afar, alas with my own eyes). Still, I got to see it the next day at the Friedrichstadt-Palast. The film follows Betrarnd (Gaspar Ulliel), as he becomes famous by producing under his own name a play written by an old playwright who passes away before his eyes. He then meets Eva (Huppert), a high class prostitute, and quickly becomes obsessed with her. The film finds a good balance between ironic humor and character drama, the highlight being of course Isabelle Huppert’s performance, but that’s not to say that there wasn’t any merits elsewhere. If I have a concrete complaint, I thought the editing was some times a bit off, in a sense making our comprehension of a scene kind of difficult. So, summing up, Eva is a pretty good film with an interesting story and a great actress in the lead role, but it does kind of play it too safe. Sharing the last name with one of the greatest directors in Japan and movie history, Kiyoshi Kurosawa brings us this sort of art house science fiction film. 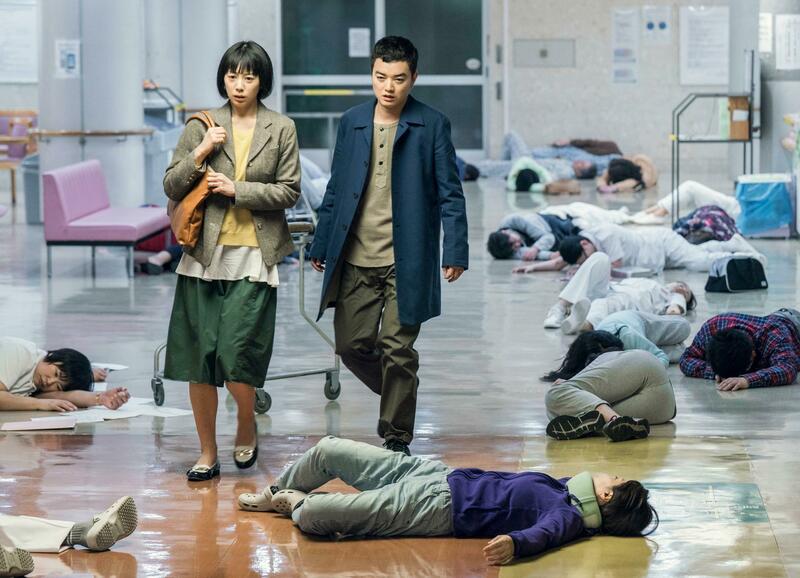 The film follows Etsuko (Kaho) as she begins to notice strange events around her: strange weather, people forgetting family members, close ones acting suspiciously weird. As it turns out, there are aliens hiding among the people, and they’ve been robbing humans from their conceptions. It is a very interesting concept, but as much as I liked the film, it does feel like wasted potential with such an interesting premise. That being said, this young Kurosawa does a great job at creating tension and building suspense, and all the actors put in pretty good performances. I did have some issues with the third act, or rather with some plot threads that develop towards the end. I would have really liked to place this film higher, but its kind of disappointing not to see such inventive ideas not being further explored, instead of embracing the genre and going full on sci fi (without any fancy visuals, spaceships nor anything like that, which is great). A swedish comedy about a woman named Nojet (Leonore Ekstrand), who at 68 years of age inherits a building from her late father. Finding it a total administrative disaster (it is run by her brother and nephew), she decides to sell it, but this won’t come as an easy task, as she faces resistance from her family, the tenants, even her friends. “The Rel Estate” is a very honest film, shot in a very cinema verité style but with added layers of surreal humor, what proves to be a very particular but interesting combination. In the center of it all stands Nojet, played superbly by Ekstrand, a woman who’s had it and lived it all in life, but new circumstances that put her in conflict with her own family forces her tosee things from new perspectives. The music was also a very cool element in the film, a soundtrack that is very much worth checking out. I don’t really have complains with this one, I didn’t really care much for the cinematography style (mostly hand-held camera and way too many close-ups for my taste), but I’m not saying by any means that it’s bad. “The Real Estate” is a very witty film with some comedical turns at unexpected places, almost as if comedy comes naturally to this world, while at the same time carrying out a personal look at the life of a character. My favorite film of the festival was this twisty, bendy, inventive piece of iranian cinema. I believe this is one of those films that its better to go into without knowing anything about the plot, but a basic premise may be needed to understand this complicated story. All you need to know is that there has been a murder at a stadion and the police are trying to reconstruct the scene of the crime with the help of the local team of some unknown sport. However, quite early it becomes clear that something more sinister is hiding under the surface. This film deconstructs time and space, carefully revealing bits of information that slowly build the complete picture. This is a movie that respects its audience and lets them put two and two together. Shot mostly in a long one shot and no cutting (with one exception), the film manages to mix horror and fantasy, create a highly engaging story, deal with complex themes, handle a laberynthine structure and even taking a little time for world-building. One does get the sense that it bites off more than it can chew, but it is hard to find such ambitious and brave films these days. Sharam Mokri, the director, is a talent to watch, I’ll be certainly be looking out for what he does next. Those were the films I saw. Overall, it was a great festival (still is, films will still be premiered up til saturday). 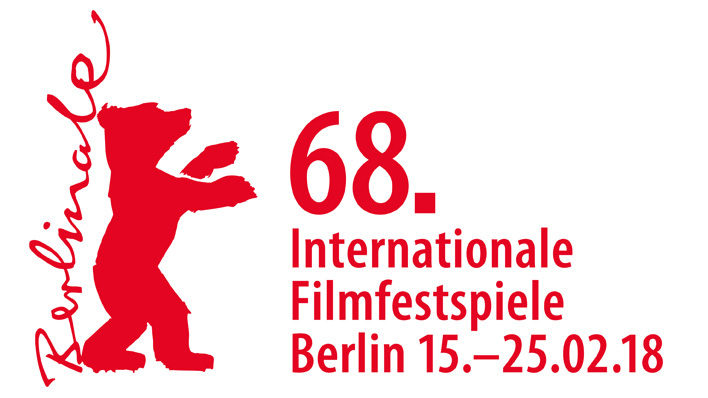 The winners will be announced on Saturday, I only saw two films competing for the Golden Bear (“Eva” and “The Real Estate”) so I can’t know for sure who’s gonna win there, but I really hope that “Invasion” wins at the Panorama section. Speaking of which, I thought that this year the proposals they had going on at the Panorama section were more inventive and interesting than the ones at the main competition, it is a good place to find some hidden gems of world cinema. I had great fun at the festival this year, and for those of you who are in the area you should definitely go and catch a film, I’m pretty sure almost any movie is worth it. If you like the material this blog produces please leave a like and help by spreading the word, until next time! Estoy verdaderamente impresionada con tus evaluaciones con esta películas, algunas las he visto, leeré más seguido tus observaciones para disfrutar las películas con una visión más profesional.